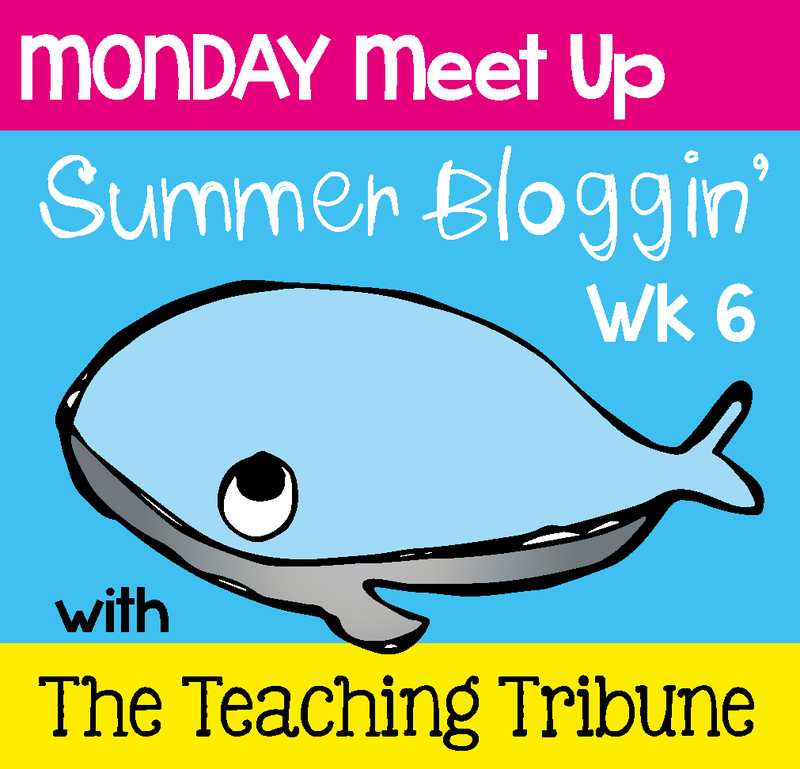 I'm linking up with The Teaching Tribune for Monday Meet Up! Head on over to The Teaching Tribune to read more Monday Meet Up!! I am a huge Harry Potter fan as well! I said that I would like to meed Professor Dumbledore! Professor Dumbledore would be fantastic! Thanks Lauren! I have always liked it! Adelle was my Grandmothers middle name also! 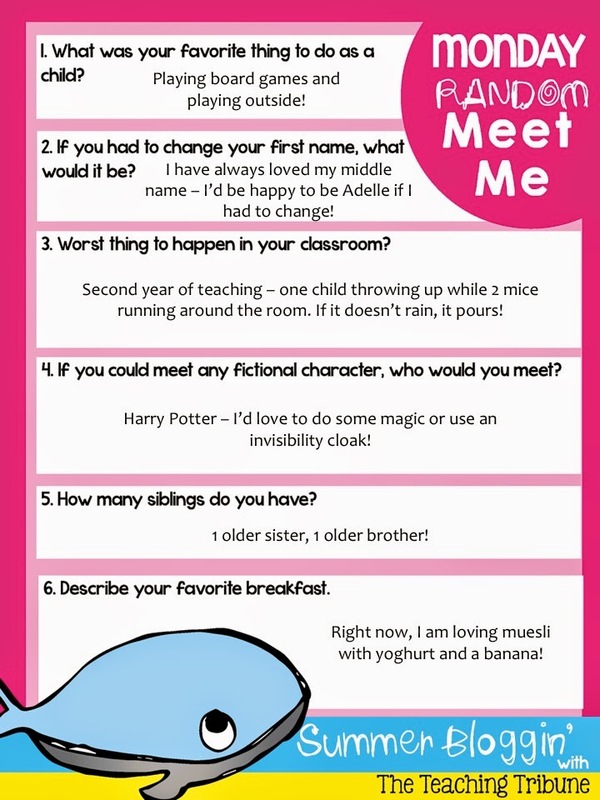 There are definitely days I would like to be able to do some magic in the classroom ... or just have 10 minutes under an invisibility cloak ;) Cute blog!! Hehe, magic in the classroom would just be fantastic! A little magic would be great! Adelle is a very pretty name. I am partial to Alison though....my best friend's daughter is named Alison. Thanks! I'm happy with both of my names! Hi Alison. Great to meet up with you! Your blog has incredible ideas! You've inspired me to eat a healthier breakfast. 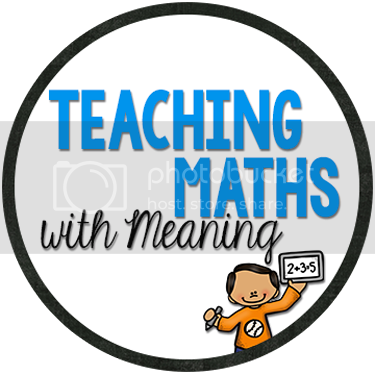 :) I'm a lover of all things math as well! Thanks for visiting Heather! I like to eat a healthy breakfast - it's the one time of the day when I do eat healthy! Love Adelle, so pretty. I would have gone off the edge for sure, the throwing up would have been bad enough...but mice running around. Oh I might have left the room screaming...lol. You poor thing! Ah well, we all have our horror stories! Adelle was my Grandmother's middle name also - so very special! Mice and vomit - that's a lot to handle! It is, isn't it! Too much! Ok...that was the WORST classroom experience!! GROSS! I would have had to go home! LOL! Harry Potter was my pick, too. Just love him! Luckily I taught a boy I called Professor Joseph and he devised plans to catch the mice while I helped the child vomiting - I don't remember what the rest of the class was doing?!??! Screaming?